Roulette has long been an absolute staple at the casino floors the world over, largely due to the fact it is enticingly simple to play. Being a game of pure chance, roulette is a suitable option for all players, regardless of their level of previous experience. Furthermore, the game is an obligatory addition to the collections of all established interactive casinos where players get to indulge in different variations at home or on the go. While the game is readily available in Practice/Fun Play mode where no actual money is involved, nothing beats the excitement of registering at an online casino and placing a few real bets on roulette. As the old saying goes “Nothing ventured, nothing gained” and this certainly rings true when it comes to playing real-money roulette. However, before you commit any of your funds to playing the game online, you should most certainly make sure you are familiar with all its aspects, including the rules, the odds, the bet types, and the house edge. Roulette may be simple to play, yet it is absolutely obligatory for players to properly acquaint themselves with all the rules of the game prior to making any real-money wagers at their preferred online casino. The object is to predict which number the ball will land on when it comes to rest, with numbers 0 through 36 being represented on the wheel in black and red pockets that alternate. The zero is the only number colored in green. The exciting thing about roulette is that it allows for an extensive range of bets to be made, with players being able to wager on individual numbers, on their properties, or on groups covering several numbers. The type of bets you make really matters in this game as the odds vary from one type of wager to another. Some types of outside bets, like red/black, odd/even, and high/low, lose when the ball ends up in the zero pocket, with the chances of this happening being greater in American roulette due to the additional double-zero. Your payout also differs depending on the wager you make. Once you have mastered the rules, you can proceed by registering with a real-money account at a licensed and trustworthy online casino. In most cases, the roulette games are available for instant play but often there is also the option to download and install the casino’s native desktop client. In the process of opening an account, you will be expected to provide some personal and banking information, such as your name, address, phone number, date of birth, email, and bank account number. These details are kept confidential and are well protected by the latest encryptions, so there are no causes for concern. Once you have processed your first deposit via one of the reliable payment methods the casino accepts, you are good to go. When the game loads, you need to adjust the size of your wager by selecting a chip denomination that corresponds to your bankroll. Then you simply need to click on the betting box that corresponds to the type of bet you wish to try your luck at. Usually, when you hover the mouse cursor over a betting box, the latter is highlighted and the minimum and maximum limits for the bet type pop up above. Also, you may notice the lower and upper limits for outside and inside bets differ since the odds of winning with the first type are greater. In many cases, there is a close-up of the winning number in the upper corner of the base game screen. The amount you have won is also displayed and the funds are added to your casino balance right away. The real-money roulette variations usually come with a number of perks, including statistics on the hot and cold numbers and the results of previous rounds. As we already mentioned, it is vital for roulette players to select the wagers they place rather carefully since the different bet types offer different odds at winning. As a rule of thumb, outside bets are the more lucrative option because they cover larger sections of the wheel, which translates into a greater probability of winning. Their payouts are far from impressive since the bets in the outside category pay either even money or 2 to 1. However, when one plays for recreation, it is best to settle for smaller, yet consistent profits rather than wasting their entire session’s bankroll on several rounds. Inside bets are the second major category of wagers in roulette and include stakes on individual numbers (Straight Up), on two adjacent numbers on the layout (Split), on three consecutive, horizontal numbers (Street), four numbers meeting in one corner (Corner), and six numbers in two adjacent horizontal lines (Six Line). Basket bets also fall into this category and cover numbers 1, 2, 3 and 0 (plus 00 in American roulette) – these are considered the worst possible option for roulette players and as such, should be avoided. Since inside bets cover smaller groups of numbers or individual numbers, the probability of winning is not that great but the payouts are well worth the risk – Straight Up bets, for example, offer a payout of 35 to 1 on winning rounds. Established online casinos typically offer three of the most commonly played variations of the game, namely European, French, and American roulette. There are hardly any deviations in terms of gameplay and rules. The major difference stems from the fact French and European roulette wheels feature only one, single-zero pocket while the American variant incorporates an additional, double-zero pocket. Inexperienced players may dismiss this peculiarity of the American wheel as unimportant, but the truth of the matter is the additional double-zero reduces the probability of winning with almost all types of wagers, the only exception being the Basket bet which covers the zero. Furthermore, most outside bets automatically result in a loss if one of the zeros hits. Because of this, players are generally advised to stick to the single-zero games. More importantly, the game may appear fair to inexperienced players while it is exactly the opposite – it is biased in favor of the casino because there is a discrepancy between the mathematical probability of winning and the bets’ payouts. This is frequently referred to as the “house edge” – the house collects money on all bets, regardless of whether players are winning or losing. Let’s demonstrate what we mean with an example – the actual probability of hitting an individual number on a European wheel is 1 out of 37 because there are 36 ways to lose and a single way to win. The additional zero on American wheels further increases players’ chances of losing to 37 to 1. However, in both variations of the game, the payout of 35 to 1 on winning Straight Up bets is lower than what the actual odds indicate. This translates in a house edge of 5.26% in American roulette while the casino advantage in the European variation is 2.70% only. Meanwhile, due to the La Partage and En Prison rules in French roulette, where players can potentially get their initial stake (or at least half of it) back when the ball lands on zero, the house edge is further reduced to 1.36%. We think it is pretty obvious which variations you should choose and which one you should avoid when playing for real money. While there is no way for roulette players to influence the outcome of the game, managing your bankroll smartly will certainly improve your chances of generating profits when playing online for real money. The number one rule to follow when playing games of chance is to never gamble with money you cannot afford to lose, your car’s insurance or your monthly rent, for instance. Before you actually start playing roulette for real money, you should set up a separate bankroll for the month, which should consist of funds you do not need to get by. Split the overall bankroll by the number of betting sessions you plan for the month. The next thing to do is to determine what base bet unit to use or the amount you stake per round. The size of the base unit should correspond to the overall amount you have put aside for the session, with 1% to 2% of the overall amount being the standard among experienced roulette players. Knowing when to quit, regardless of whether you are winning or losing, is equally important. That being said, players need to set a win goal for themselves and end their betting session as soon as they reach it. It is up to you to decide how much your win goal should be, but do not aim too high – the proverb “Greed lessens what is gathered” is applicable to roulette as well and you may end up empty-pocketed if you persist. The same applies to loss limits – once you have exhausted about half of your session’s bankroll, set the other half aside and put the stopper on it. Some players opt for using betting progressions when making real-money bets on roulette. These entail adjusting the amount you stake, depending on previous results, but they have zero influence on the outcomes that are to follow. Betting progressions have more to do with money management since they can potentially enable roulette players to recoup the losses they have suffered on a bad streak and turn a profit. No betting system is 100% infallible, however, but if you insist on using one, you should most certainly try a system that is based on a positive progression where you up the amount you stake after a win and reduce it after a loss. One of the best ways to get better value when investing your money on online roulette is to avail yourself of the promotional incentives at your web-based casino of choice. Claiming a Welcome Bonus is the best way to proceed after you have signed up with a real-money account as you will be provided with free casino credits to play with. Some of the hottest online casinos even offer the so-called No Deposit bonus and newcomers are not even expected to process a payment to receive the free funds. 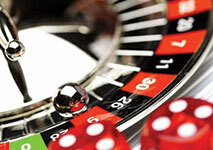 Another advantage of playing roulette for real money results from the loyalty programs most online casinos have set up. Each real-money wager you make on roulette (as well as on other games) corresponds to a given number of points. When players have earned enough of these points, they can exchange them either for cash, or for some other benefits like more free credits to play with. This poses as a fantastic way to add value to your gaming experience and prolong your play time. No Deposit bonuses are a great option if you wish to test the available roulette games and the best part is you can keep the winnings you generate i.e. as long as you cover the wagering requirements, attached to the bonus. The sheer number of interactive casinos that were launched in recent years will suffice to make your head spin. With so many options to choose from, less experienced roulette players may end up overwhelmed, even more so, if they have no idea what to look for when picking an online gambling operator to play with. While the diversity of the roulette collection is important, it is hardly the only thing players should take into consideration. The first thing you need to check prior to registering a real-money account is your preferred casino’s licensing. Unfortunately, not all operators are equally fair or reputable but generally, the casinos that can be trusted do not shy away from openly publishing their licensing numbers and the names of the authorities regulating them. Roulette players cannot go wrong with online operators that bear the seal of approval of the UK and the Gibraltar Gambling Commissions, the Malta Gaming Authority, the Alderney Gambling Control Commission, or the Isle of Man Gambling Supervision Commission. Such websites enjoy an enviable reputation among players because of their honesty, fairness, quick payouts, and dependability. Another thing to factor in when selecting an online casino to play roulette at are the available banking options and currencies. There is a common trait all respected gambling operators share – catering to the needs of their player base which translates into a greater number of convenient, safe, and quick banking solutions so that there is a little something to suit the individual preferences of all registered customers. Security should hardly be a concern of yours if you open an account at a licensed and regulated website. Such casinos utilize up-to-date encryptions to process payments to and from their players’ accounts. Before you select a deposit method, however, you most definitely need to make sure it is supported for withdrawals as well. Also, some of the biggest casinos on the web accept a wider array of currencies – this is important because it can help you do away with conversion fees when you transfer money to and from your account. The wider the range of available promotional incentives and bonuses players get to partake in or claim, the better. What is more, there is a tendency among established gambling operators to state the terms and conditions of their bonus offers in a clear, comprehensible manner so that all players can understand them. The software the casino runs on is also indicative of the quality of the gaming experience you can expect. The roulette games created by leading software suppliers like Microgaming, Betsoft, Playtech, and NetEnt will impress you with their unprecedented authenticity and leave nothing to be desired when it comes to visuals, audio effects, interface, and gameplay. The adequacy and efficiency of the customer support the casino provides is an important indicator of the extent to which it cares for its patrons. You should opt for a gambling operator that ensures all its players get a quick and friendly assistance. Also, it is preferable if your online casino of choice offers support and information to players around the clock for maximum efficiency and convenience. A reputable online casino stands apart from the crowd with a 24/7 live chat facility, quick responses via email, and a toll-free telephone line. If you wish to enjoy a greater flexibility, it would be wise to first check whether or not your preferred online casino is mobile-responsive and supports a wider range of portable devices. You can easily tell an operator is worth your while if it offers a comprehensive mobile catalog of table games and runs on widespread smartphones and tablets, based on the commonly used iOS, Android, Windows Phone, and Blackberry OS. Some of the biggest names in the industry also provide players with bespoke iOS and Android apps, which can be downloaded free of charge.